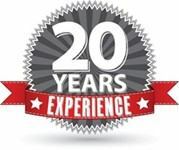 Barclay Products has been serving professionals and home owners with quality products and responsive, personal service for twenty five years. 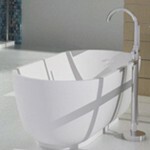 Unique, high-quality sinks in a wide range of styles, colors and finishes for bath and powder room. 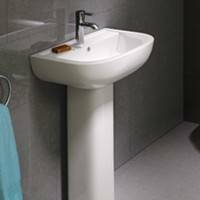 Sleek, contemporary, international style fixtures and furniture, perfect for transforming a bathroom to a simple, yet luxurious retreat. 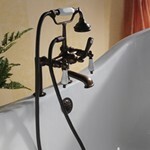 Traditional with the romance of the Victorian era, gracefully styled pedestal and drop-in sinks. A ceramic material that has been glazed with enamel. 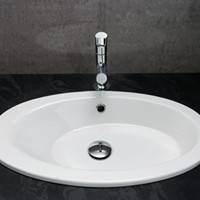 When an intense amount of heat is applied to powdered glass, the result is a liquid called vitreous enamel that can be used to coat small objects such as sinks and toilets. Vitreous China has a smooth, shiny surface that won’t stain or fade and resists scratches and abrasions. It is also chemical resistant and impossible to burn. 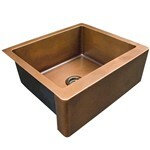 All Barclay copper sinks are made from 16 gauge or lower copper sheet. 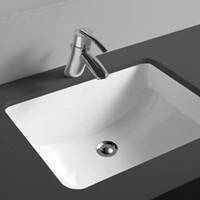 Brushed nickel sinks are copper with a beautiful brushed nickel plating. Due to the handcrafted nature of our product, there will be some variation in size, hammering, and finish. 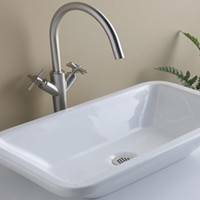 A copper sink is not only a work of art, but also possesses a natural ability to fight bacteria. 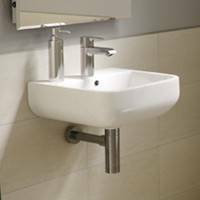 Its anti-bacterial nature resists the growth of e-coli and many other common bacteria.